As British we are partially to a steamy brew, but what's even more appealing is being able to boil and cool down your cuppa from a smartphone. 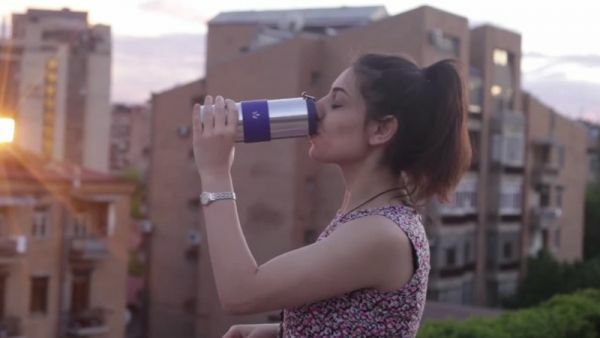 The travel mug and smartphone app heats or cools down your drink to your desired temperature via Bluetooth, allowing you to set the mug to whatever temperature you see fit. Whilst plodding along to work or wherever you're headed, a notification will bring up on your phone to tell you that your drink is ready. The mug has to be charged up for it to work, but you can even check its battery level by logging on to the app. Another useful feature incorporated into this device is that it acts as also as a charging hub for your mobile, so while one juice is going down the other is juicing up. YeCup also claims you can take 'lovely selfies' with your mug, with the built in snapper, which means instead of holding a camera you can hold the mug instead. Holiday albums will suggest that your family has an unhealthy addiction to tea. Yecup also plans to develop its software so that it's compatible with your Apple Watch. What could be more dreamlike than controlling the temperature of your drink through a watch? The mugs stainless steel exterior looks great and way beyond your average joe flask, holding bags of features, this is one handy mug. Useful? Erm.. we'll let you decide.